I started teaching prenatal yoga right after my first regular teacher training in 2001. I knew nothing about the process of creating life (except the basics). I was excited about the yoga of philosophy of the feminine “Shakti” and I tried to tell my students that they were full of goddess energy, and they had everything they needed. My students were mostly uncomfortable, anxious and in pain. The body changes not just day to day, but moment to moment. And any existing misalignment will get magnified along the away. 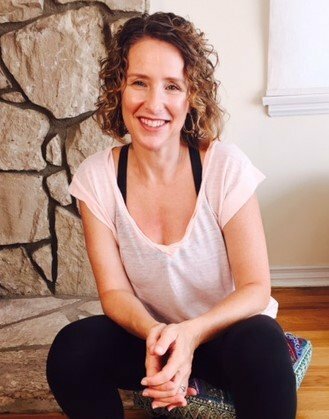 As a Kinesiologist and Certified Anusara Yoga Instructor, I had learned specific theapeutic alignment principles and I began simplifying and “femininizing” them to address the needs of pregnant women. Eventually I called them the Five Sacred Steps, and each principle continues to guide me in helping people stay in alignment, and return to it. The Five Sacred Steps guide all my teaching, whether I’m helping someone out of back pain, wrist pain, or any other common ache or pain – or something pregnancy-related. 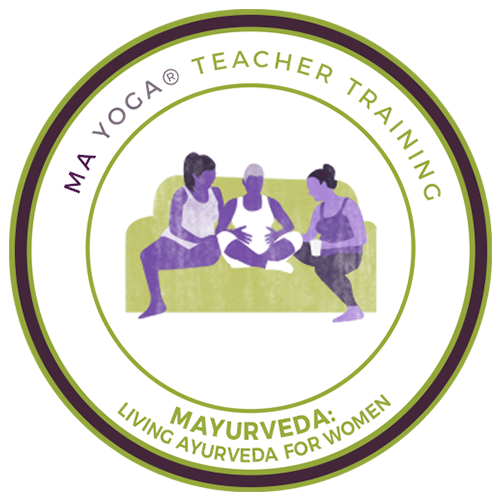 I’ve been teaching Therapeutics trainings since 2007, and in 2012 began teaching The Yoga of Healing for Women in their Childbearing Years, using the woman’s body as the basis. 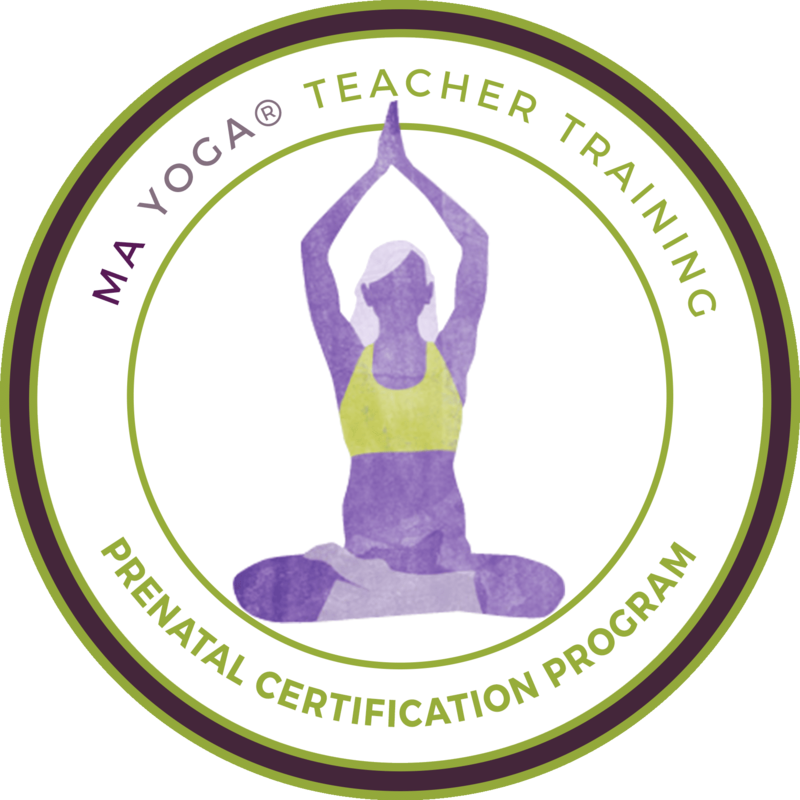 Ma Yoga® Certified teachers have all the tools they need to teach safe, effective, and inspiring alignment-based yoga to mamas! It didn’t take long to realize that The Yoga of Pregnancy is so much more than physical. Like other times in life when we suddenly realize how not in control we are, I began to see pregnancy as a wonderful opportunity. Many people listen inward in a whole new way during this time; honoring their body and their desires. By embracing this more feminine, receptive relationship with the world, we can begin to embrace the innate flow of power, wisdom, and love within us. When I got pregnant in 2006, I thought I was well-prepared prepared to be a mom. Wow was I surprised. Not only had I sacrificed my social life and career and even yoga practice to be home with my little one, I had lost my sense of myself as someone who could complete a task. I was exhausted and depleted and having trouble losing the extra weight, and the hardest part: I didn’t have time to do yoga. The long, focused practices I had come to love were no longer accessible. But I didn’t think it was fair that just because I was a mom, I had to give up yoga. So I honed the yoga I’d be taught down to its essential practices and principles, so I – and other moms – could get the breathing, meditation, alignment and strengthening during naps, while baby is playing – even while we’re holding baby. I shifted the practices so they were more focused on core strengthening, helping us find our new identity, and grounding us in an evolutionary spiritual philosophy. 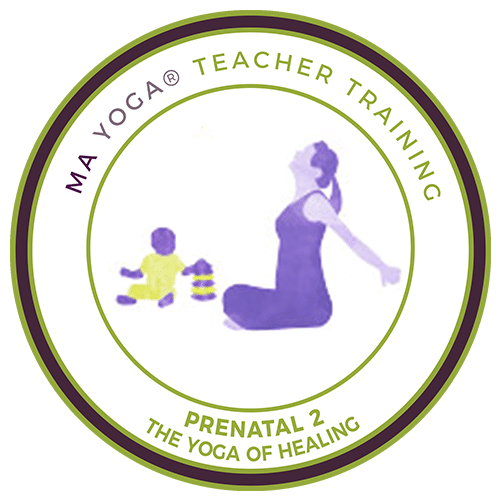 I started guiding other prenatal teachers through The Yoga of Pregnancy and Yoga of Moms teacher training weekends starting in 2004, and eventually combined them into one. As for life off the mat – I wanted to be healthier, but I didn’t want to live in the kitchen. I began studying Ayurveda again when my daughter was one (the 5,000 year old wellness system that was traditionally part of yoga), and found myself able to provide healthy food, good self-care and energizing daily rhythms for me and my family. I organized what I experienced into essential basic healthy lifestyle routines for women (Dina Charya,or “Anchor Practices”) – that even the busiest of us can all fit in to our day to give us more energy, help us sleep better, and allow us to find our ideal weight. I put them all together in six ebooks and phone calls for the online training, MAyurveda: Living Ayurveda for Mama. I’ve been teaching MAyurveda since 2012, and each time I understand welness and vitality and healing on a deeper level. Receive marketing, business and emotional help for growing your own Mama Circle! Be part of a growing, global teacher tribe who see pregnancy as a guru. I’d never taught before this program. It gave me the confidence to be a teacher…As a teacher, I love helping moms get their minds and bodies ready for labor. As a doula, I know which poses are good for fetal positioning and labor – and it makes my job easier because by the big day, the things they need to do are second nature. I am now empowered in my own practice and life with the tools I received related to how life create itself, on and off the mat. This program helped me shift the way I deal with aches and pains, enhance my daily routine, and interact with my community. I feel so grateful for the knowledge gained from this life-changing program. I have more confidence with moms that come to me with aches and how to get them out of pain, and through learning Dina Charya (daily rhythms) I know how to help them have more energy. I love that we have this community where I can go for inspiration and support as a teacher, and that we all also create our own little communities in our neighborhoods! We try and keep costs as low as possible, and we also give you an option for “payment plan,” which means you pay for each module as you go. Like all payment plans, this option is more expensive because businesses thrive when there’s money in the bank. To encourage you to pay up front, we give a HUGE discount: you save $350 by purchasing the whole program – pluls you’ll enjoy 6 months free membership in our online prenatal and mom yoga studio! 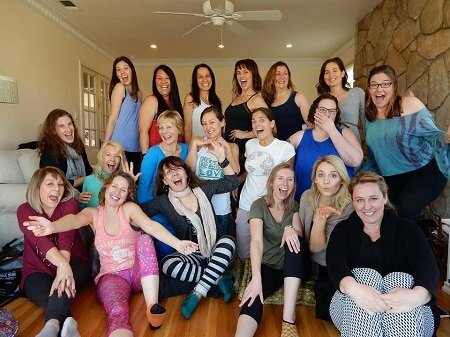 The full program price does NOT include the costs of local classes that Southern California people are required to take, so our community gets to know you and can support you ($95 through www.MaYoga.com). 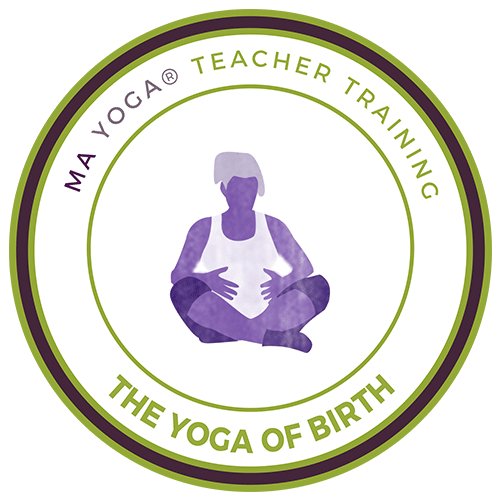 The full program price also does NOT include the cost of required labor education, because you can choose to take your own doula training, OR take our online course, The Yoga of Birth with Lauren ($300). Full program purchase price is only $1299 – you save $350! 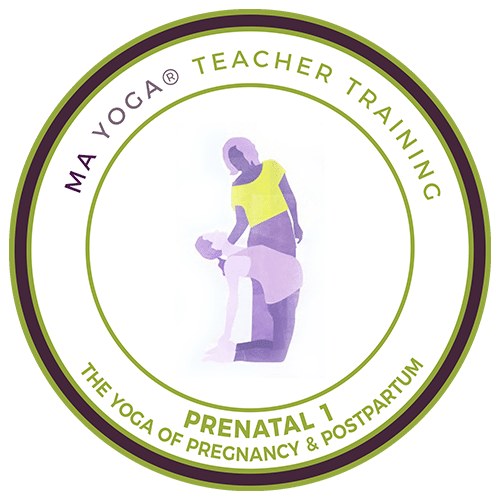 I signed up for the Ma Yoga Prenatal Teacher Training purely be more confident in effectively guiding Momma’s-to-be through a regular Yoga class. What I got out of this training experience is a whole world more, it truly has been a metamorphosis both personally and professionally. At first, (if I’m honest!) I remember feeling frustrated when I realised it wasn’t going to be a case of simply training for two weekends and then getting a certificate. I am so very grateful that this wasn’t the course structure. 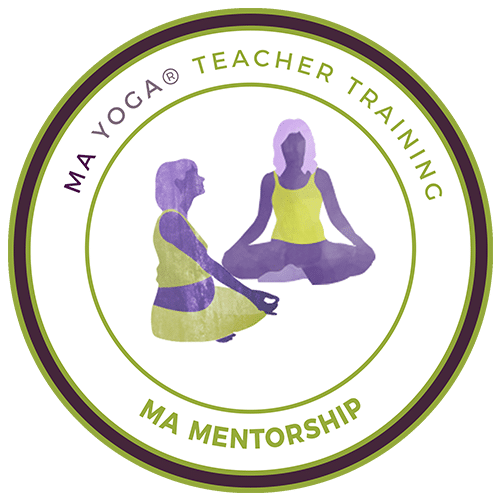 Jessica and the team at Ma Yoga have created a certification made up of crucial components, which allow you to build upon your knowledge and training, continually reassessing and reflecting in order for you to deepen your learning and understanding; thus improving and empowering your teaching and your own life. They care. They care about mothers. They care about you as a teacher. They care about the quality provision of yogic practice. Empowerment and care for this whole community is at the core of all Ma Yoga do. I am at a totally different place than I was before I started on my Ma Yoga journey. I still have a long way to go, but I want to do it and keep doing it… I love it! Thank you Jessica and all at Ma Yoga. You will never know what an impact you have made on me and how much I have taken from your course. You are truly inspirational. I had a wonderful experience with Ma Yoga. Jessica is always available and quick to respond to any questions. Jessica wants you to be successful. Through Ma Yoga I feel empowered as a working mom instead of apprehensive or lost in a corporate job that doesn’t want to accept my new life as a mother. I love the unique community that Ma Yoga creates. The community goes beyond the studio and mat and into your life. I’ve met some amazing and inspirational women through Ma Yoga trainings and classes. I can’t replace or replicate the experiences or relationships I have gained over the last year completing my Ma Yoga TT. Thinking about it but not sure it’s for you? Schedule your free 30-minute Dreams and Visions call with me now. I love helping teachers find their authentic path where they can make the biggest impact on the world! No hard sell here – just answers to your questions.